Everest adventurer and climber, Bonita Norris, has been selected to be launching the fresh new Nissan Juke crossover. This is an endorsement campaign with a difference as this focused on the intrinsic qualities that this crossover promises to bring with its knack for providing support in your path of adventure. Bonita Norris has been the youngest woman to climb the Everest and is the perfect young face for the current Juke crossover with the new independent sense of adventure coming through it. The 22 year old Bonita displays a natural love for adventure and nature that has been loved by Nissan. Bonita herself typifies the whole nature of Juke and is thus the perfect person to embody this campaign. However the photoshoot has swapped mountainous locations for urban campaigns for Nissan. Bonita herself has been delighted to be endorsing Nissan with their exciting revelations in the new crossover. Bonita is basically thrilled to be rooting for her country’s achievements through the remarkable make of this new car. She is supportive of the new innovation which is all about breaking the moulds of the stereotype. Her own unconventional and sprightly nature is perfect ally to the reflection of the new system being designed through the car. 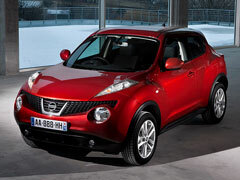 For what Juke represents, Bonita has been the perfect ambassador for this new model. Juke will be released officially after 24th September. They will be available through Nissan dealership all over the UK.